Red wine is one of the most popular drinks out there and in many families a glass with dinner is a long held tradition. The popularity of red wine has inspired many scientists to research potential health effects and the results are fascinating. There are lots of potential benefits, but there are also several ways it can negatively impact your health, especially if you decide to have more than a couple glasses with dinner. Heart disease is the biggest killer in the US and one of the biggest killers throughout the western world. Studies suggest that having one alcoholic drink a day can reduce your risk of heart disease by up to 1/4 and make you more likely to survive and be able to enjoy your life after a heart attack. But the line is very thin: more than 21 drinks a week for men or 14 drinks a week for women can actually increase your risk of heart attack. Resveratrol is a compound found in grapes that is highly concentrated in red wine. This compound along with a number of antioxidants found in red wine and grapes helps slow the aging process, particularly when it comes to your skin. Drinking one or two glasses of red wine with dinner will help your skin stay youthful and beautiful. Some studies suggest that people who engage in one drink with dinner on a daily or almost daily business live longer than their sober peers. One study in particular from the University of Austin, Texas showed that more than half of moderate drinkers survived the 20 years the study followed whereas only 1/3 of their sober counterparts survived. Scientists believe this is because resveratrol also helps protect and heal tissue inside your body. A study in Neuropsychiatric Disease and Treatment showed that moderate drinkers(men who drink 2 glasses per day and women who drink 1) are less likely to have symptoms of dementia or Alzheimer’s. Of course, we all know that too much alcohol can quickly derail your mental processes, so remember to stick with moderation. The resveratrol found in wine is apparently an excellent skin protectant thanks to a series of compounds called flavonoids. A bunch of grapes might be better protection but you can definitely feel a little bit better about lying in the sun if you bring a little bit of wine with you (or is this stretching things a little too much? :-)). You’ll still want to wear your regular sunscreen to make sure you have adequate protection—it’s easy to get sun damage, even when the sky is cloudy. When it comes to food and beverages – Education is key! This is the big thing nobody likes to admit…. The average glass of red wine contains 100 calories and other than the resveratrol and flavonoids red wine doesn’t have much to offer. Alcohol also changes the way your metabolism works, forcing your body to deal with it first before it processes any protein, carbohydrates or other nutrients. If you’re trying to lose weight even one glass with dinner might be too much. Alcohol might decrease your body’s levels of cortisol but it also increases your tendency to focus on negative thoughts, meaning you can quickly stress yourself out more. This leads to a cycle of drinking more and more to feel better. Skip the glass of wine if you’ve had a bad day. You might fall asleep faster when you have a nightcap but you still won’t sleep as well. Alcohol actually disrupts your REM sleep phase, the most important phase for your physical and mental well being. This effect is more dramatic among women. If you sleep for the right number of hours but still feel exhausted maybe it’s the glass of wine you need to get rid of. It might help lower your risk of heart disease but alcohol ups your risk of cancer, particularly breast and lung cancer. The effect is even more dramatic if your drink of choice is beer, but red wine isn’t blameless. Of course, how much you drink also makes a huge impact, as does the tendency for heavy drinkers to also smoke cigarettes and engage in other unhealthy activities. People who have a history of migraines, depression, ADD or related conditions should avoid drinking red wine or any kind of alcoholic beverages as alcohol can trigger episodes or make conditions worse. A single glass with dinner won’t usually trigger anything but depending on the severity of your condition it may not be worth the risk. If you are currently taking any prescription medications you should read the label before mixing them with wine. 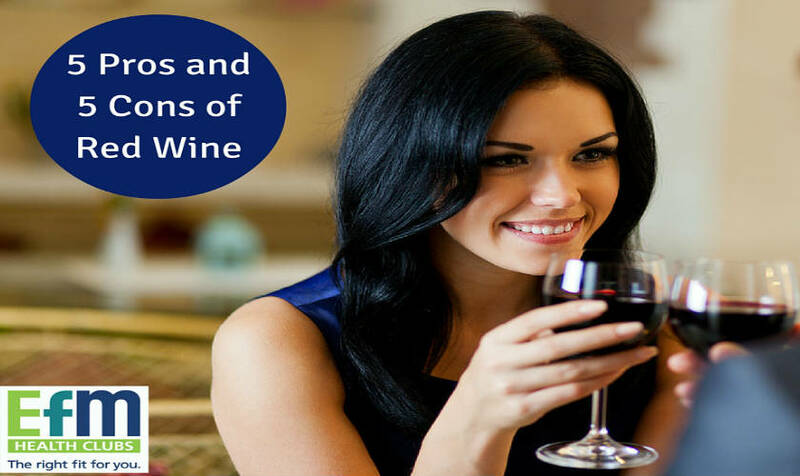 Red wine is often hailed as being the one healthy alcohol but the truth is that it is only somewhat more beneficial than other forms of alcohol. You shouldn’t drink it solely to improve your health as you won’t see a dramatic improvement—and your waistline might suffer the consequences—but if you enjoy a glass of red wine with dinner you shouldn’t feel guilty about it. Everything in moderation as they say!